Enjoy the peace and tranquility of acreage life while still being just a couple minutes from Bragg Creek. This beautiful custom home sits on over four acres of treed property 20 minutes from Calgary and is within walking distance from school and an indoor horse riding/boarding facility. The home and yard has been completely upgraded featuring new kitchens and bathrooms, hardwood flooring, all new appliances, new plumbing, all new faucets and hardware and bathrooms with in-floor heated tile and jetted spa bath retreat. The newly-renovated kitchen has all new stainless steel appliances with a gas range, new flooring and paint; and a gas fireplace. The great room is warmed by a prestigious 'airtight' wood stove. A bright, large, walk in pantry and laundry area is easily accessed off the kitchen. A three-season atrium can be used as a playroom, a craft-hobby room, workshop, fitness room, a greenhouse or simply as a peaceful sitting room. PLEASE SEE ADDITIONAL REMARKS FOR MORE. This wonderful home also features: an outdoor Gazebo with fireplace sitting area; back deck park-like BBQ area, enclosed 'campable' treehouse, zipline, covered front porch sitting area, storage shed and wood/storage lean-to, mudroom/bootroom entrance from the oversize 2 unit-garage; and 1,000 square foot room temperature storage area/crawl space accessible from inside the house. The entire front yard has been professionally landscaped with low maintenance perennial beds, fruit trees, and new fencing throughout the property. Private firepit area in the back. Fenced dog run. Minutes from West Bragg Creek Trails, McLean Creek OHV trails, and access to Kananaskis and Bragg Creek Provincial Park. A premium home and property in a private oasis setting. This property is professionally landscaped with a low-maintenance yard with mulched perennial beds and raised garden plots. This fully fenced property is set up for horses and had maintained walking/skiing/riding/quading trails. Home for sale at 50079 Boyce Ranch Rd Rural Rocky View County, Alberts T0L 0K0. 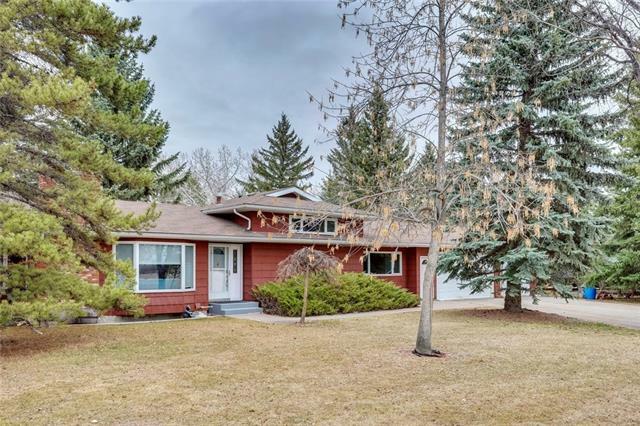 Description: The home at 50079 Boyce Ranch Rd Rural Rocky View County, Alberta T0L 0K0 with the MLS® Number C4219619 is currently listed at $887,000.